Just what does Islam teach, and how are we in the West to relate to it? The events of September 11 catapulted Islam back into Western Consciousness. Was this the opening shot in a new level of conflict between the 'Islamic' East and the 'Christian' West? How much were the attacks bound up with Islam itself? Just what does Islam teach, and how are we in the West to relate to it? In this unique book - part novel, part essay - Tony Payne explores these questions via a series of conversations with his fictional neighbour, Michael. He goes behind the media stereotypes to examine the beliefs and teachings of Islam, in their essence and in their diversity, and explains the origins of Islamic radical groups like the Taliban. More than that, he explores the religious challenge that Islam brings to Western society - not just in relation to terrorism, but in how we are going to deal with the big questions of 'God' and 'Truth' in a multicultural society. The book has 10 chapters. There are no titles or headings. A good book to read to learn about the background of Islam. The chats with the neighbour make a complicated subject easy to follow. This book is so relevant in the world today, despite having been written over 15 years ago! It's very well written and in a sense is gripping and you want to read the whole thing straight away, which is good, as it's easy to read and quite short. Despite being easy to read it's very thorough and intricate (and accurate), so despite not being seen/labelled as a theological/historical/philosophical explanation of Islam (and Christianity), in a sense, it is! Summary: an intricately deep and resourceful reference volume that reads like a novel! Although now 15 years old this book should still be essential reading for all Christians. I found it to be a refreshingly simple and clear presentation of many of the issues concerning Islam. The subtitle 'A novel argument' is blatantly ambiguous: Yes, it is firstly a novel, but secondly, the approach or 'story-line', in my experience, is completely novel, or original in its style of presentation. The issues are dealt with carefully and, where one might need clarification, that's what we get in simple terms so that the casual reader or non-Christian can understand not only the facts but also the implications. I, too, have come back to order multiple copies! A very enjoyable read! I do not know much about Islam at all, so this was an excellent and most interesting introduction. I found it helpful that the information was presented in a personal narrative - makes for better retention. Some useful analysis of the origins and variety within Islam and the difficulties of critiquing claims of what genuine Islam is. As the author points out, the book ends up being about the wider issues of tolerance and relativism in western culture. He exposes how the western modern mind ends up tying itself in knots in dealing with a religion that refuses to be tolerant. Basing the writing of the book around imaginary conversations is an interesting approach and makes for a readable and stimulating book. This book gives an insight into Islam in a clear understanding way of the principles and history involved, in an easy to read format and thought provoking way. Was a good inroad to understanding Islam. This book is written in a very readable format, but also manages to convey some fairly meaty information about Islam and its background. The writer cleverly gets across some profound differences between western liberal society and Islam through the use of narrative sections, mixed with information about Islam. I would recommend it to any christian who wants to increase their knowledge of Islam as well as unbelievers or searchers who are trying to get a handle on the differences between faiths. A good introduction to the beliefs of Islam, and why we can't ignore it's presence. A good argument for why religion is not something private, but instead something each individual needs to speak publicly about. 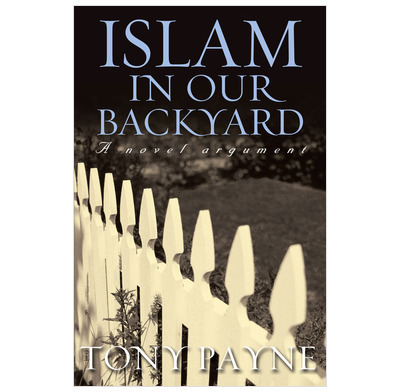 The book has comparisons with Christianity which sometimes seem to be not so subtly advocating Christianity, however the author has done well to describe the beliefs of Islam from a neutral perspective. I would strongly recommend this book to Christians and non-Christians alike, whether or not you have close personal Muslim friends. Very interesting book which demonstrated the complexities of Islam and why we need to be on our guard for the truth of Jesus.I'm so glad that the Christian gospel is "simple", attainable and available to all and for all. Simple, insightful and sensitive explanation of basic beliefs of Islam and why there cannot be a reconciliation of those beliefs and culture with Christianity.